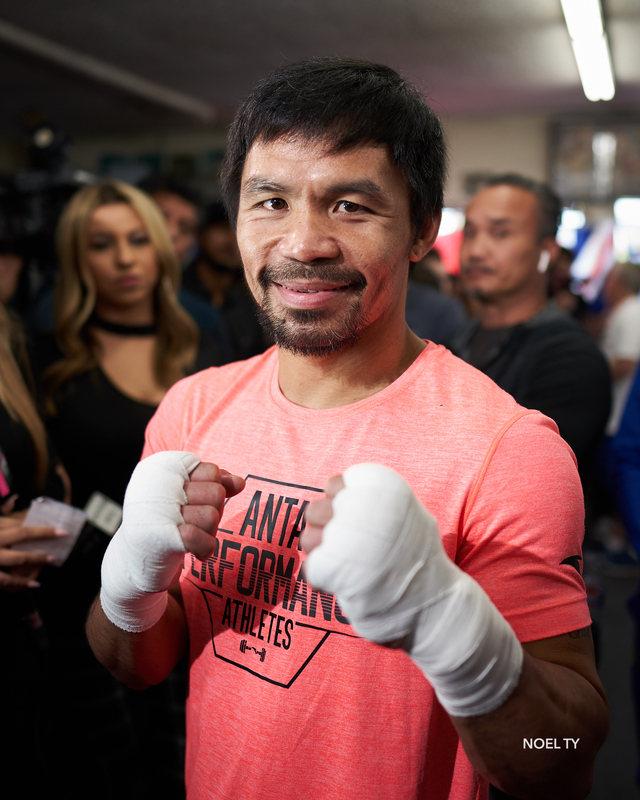 Ahead of his upcoming fight on Saturday, January 19, Manny Pacquiao said he’s still as passionate for the sport as he’s ever been in his 24-year career. 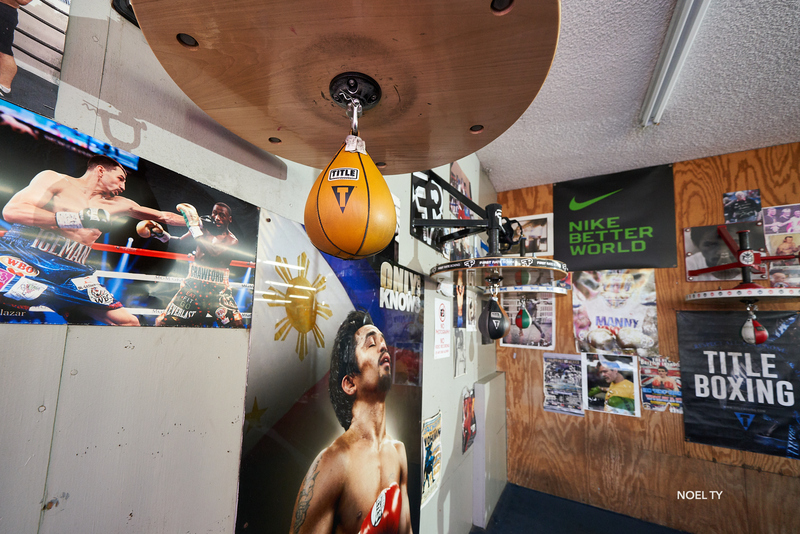 “Boxing is my passion. 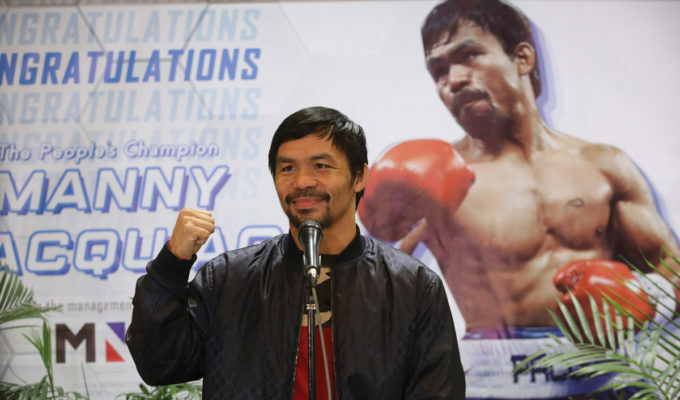 That’s why I’m still here and fighting,” Pacquiao, who remains boxing’s only eight-division world champion, told reporters on Thursday, January 10. 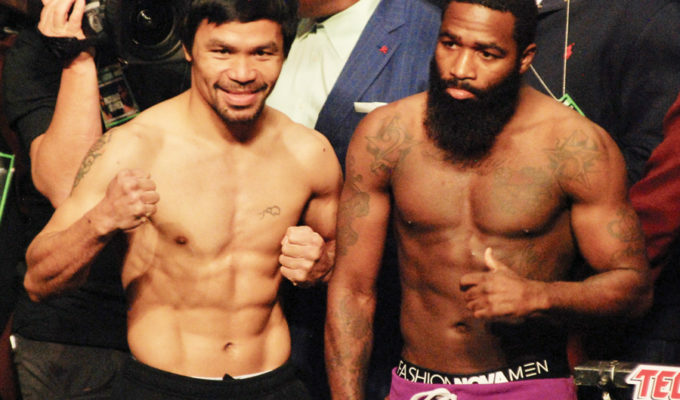 Pacquiao’s upcoming fight with 29-year-old Adrien Broner — who has won a number of world titles in different weight classes — will be his 70th as a professional boxer, and the first fight back in the U.S. after a two-year hiatus during which he fought two fights in Malaysia and Australia. 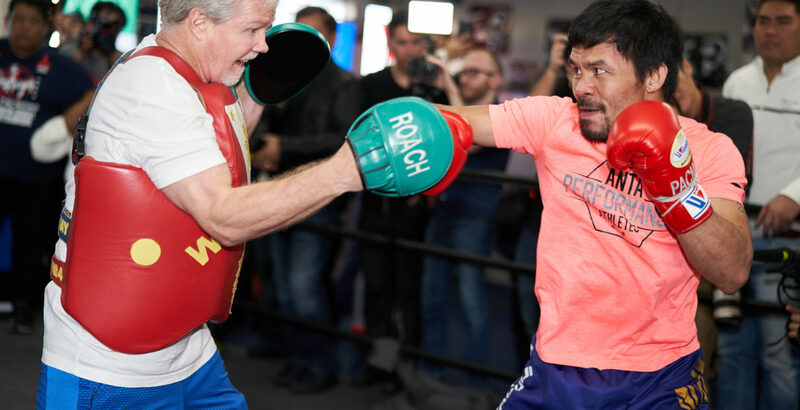 Having recently turned 40, the Filipino boxer looked at home and focused during his training back in Los Angeles with Freddie Roach, whom Pacquiao has a 16-year coaching relationship with. 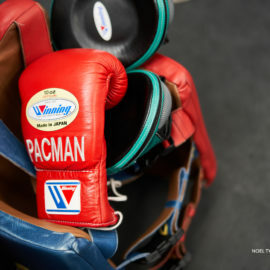 At the Wild Card Boxing Club gym — his boxing base in the states — on Wednesday, January 9, Pacquiao told the Asian Journal that training has, for the most part, remained the same with a few adjustments in recovery. “Walang pagbabago ang training natin pero yung time lang, may changes sa time ng pag-eensayo natin. Mas inaalalayan natin ang body natin to recover without pushing all the time (There is no change in our training, but only in time, there are changes in our warmup. 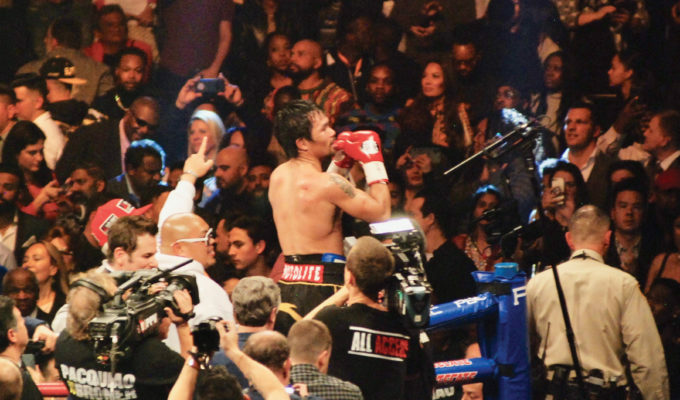 We listen to our body in order to recover without pushing all the time),” said Pacquiao. 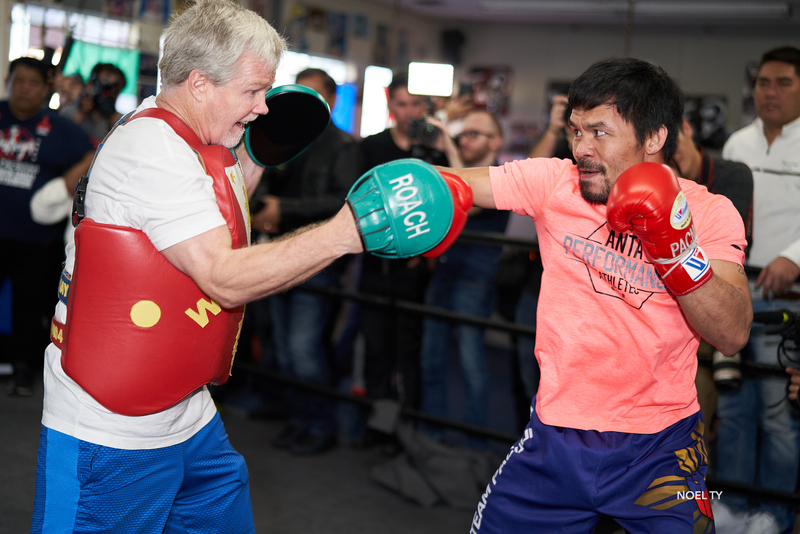 On recent comments by Roach, who told reporters he believes Pacquiao will go for the knockout with his “killer instinct,” Pacquiao agreed. 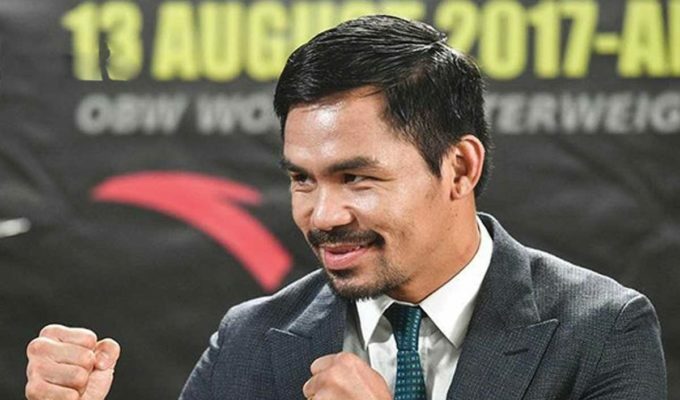 Pacquiao (60-7-2, 39 KOs) has amassed an impressive career in boxing, fighting some of the biggest names in the game like Oscar de la Hoya, Juan Manuel Márquez, Marco Antonio Barrera, Érik Morales, Miguel Cotto, and Floyd Mayweather Jr. — names he dropped as some of his top fights as far as preparing for the next one. 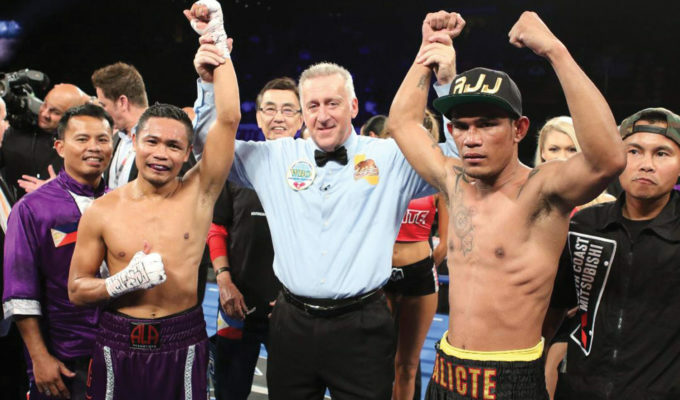 Despite having won his last two fights in the U.S. before the hiatus, his 2015 fight with Mayweather was the last one he lost in the states by unanimous decision, and one that’s been the center of possible rematch inquiries. 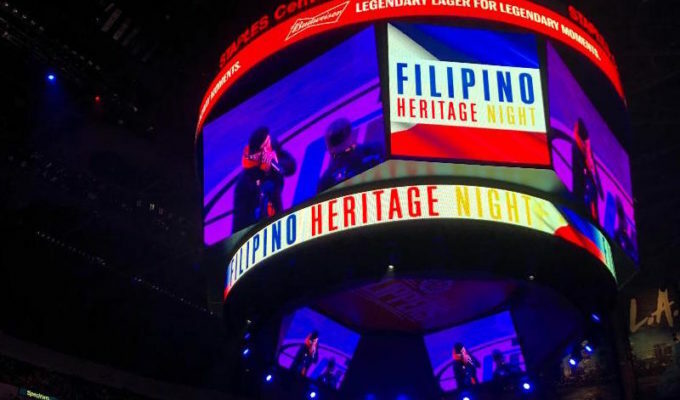 At a recent Filipino Heritage Night hosted by the LA Clippers, Pacquiao ran into Mayweather, but not much was said between the two. 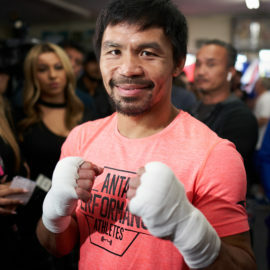 And while Pacquiao has repeatedly said in the days leading up to the upcoming fight that he wants to take fights one by one and has no lineup of whom he wants to fight next, he did acknowledge that questions of a possible rematch with Mayweather were inevitable. 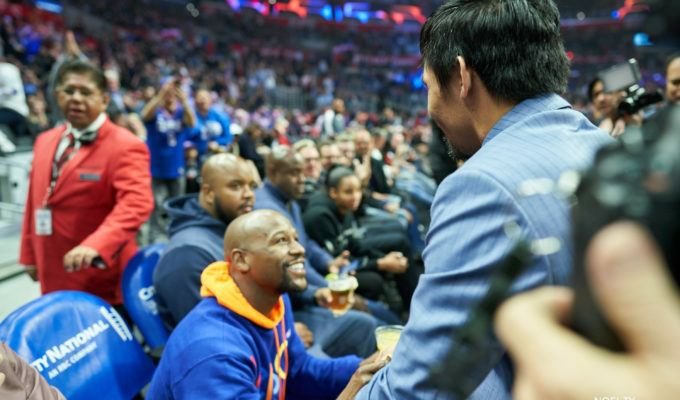 Asked about his opinion on Mayweather’s exhibition fight in Japan last December, Pacquiao seemed to not have much to say on it. “Supposedly it’s just about entertaining people,” he said. 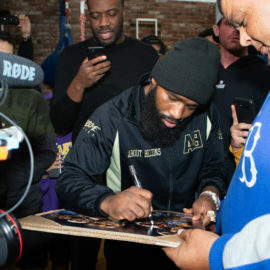 Broner told reporters on Thursday that the fact that many have labeled him as a heavy underdog in the fight, has been motivating for him. 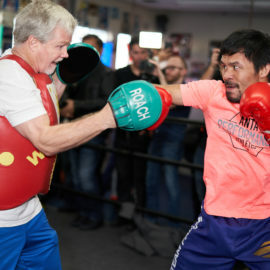 His fight with Pacquiao will be his first pay-per-view fight. “I don’t let it get to me. 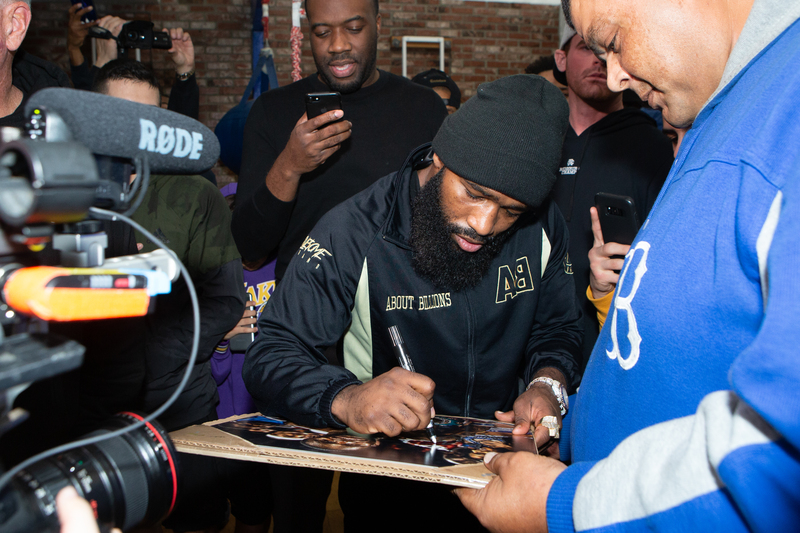 I can’t wait to hear the bell ring on January 19,” said Broner. 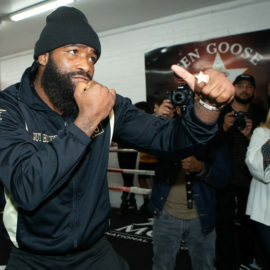 The American boxer held his own media workout the day before at Ten Goose Boxing Gym in Van Nuys, California. 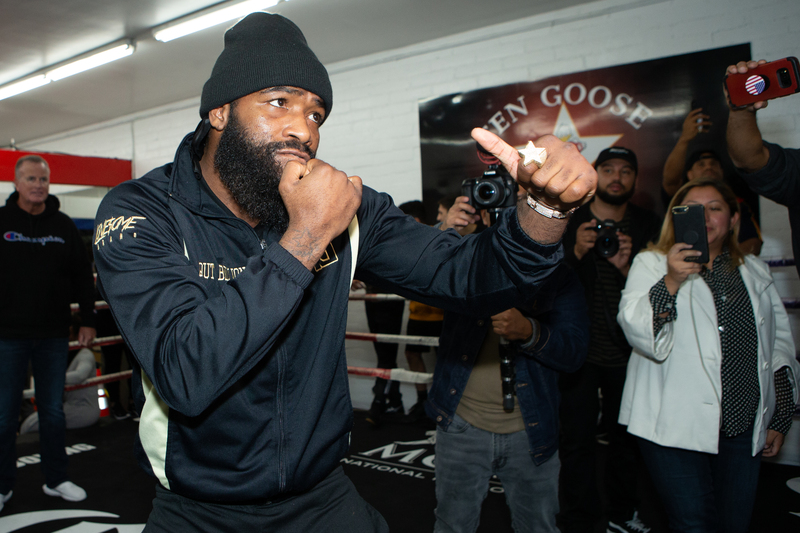 Being 0-1-1 in his last two fights with a draw to Jessie Vargas in 2018, and a loss to Mikey Garcia in 2017, Broner (33-3-1-, 24 KOs) said beating someone of high caliber like Pacquiao would mean a lot. 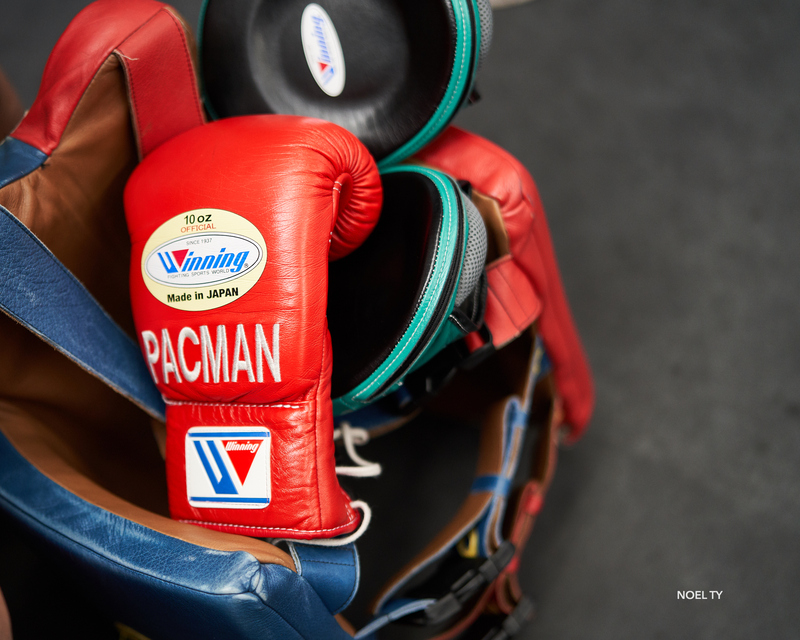 As for Pacquiao who has also made a career in Philippine politics, he’s made clear that boxing is still in his future. “I’ve already accomplished what I want to accomplish in life. 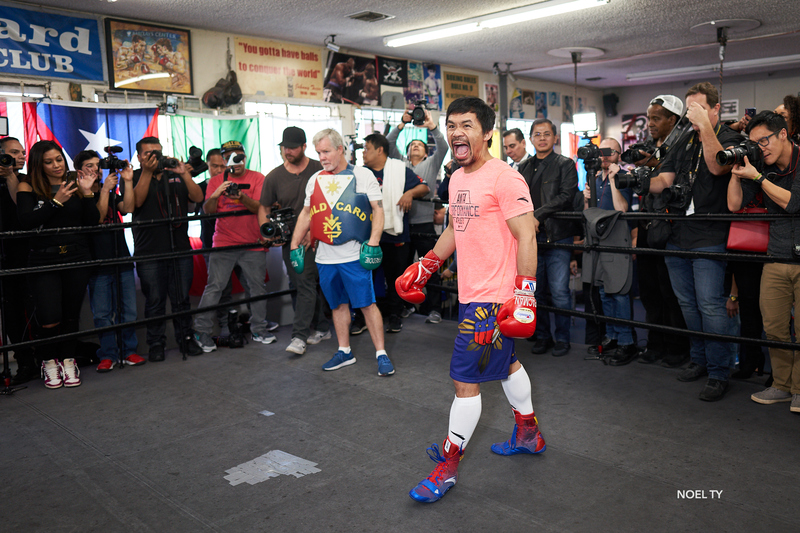 What I want to do is maintain and stay in boxing. 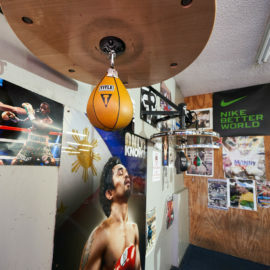 That is my passion,” said Pacquiao. 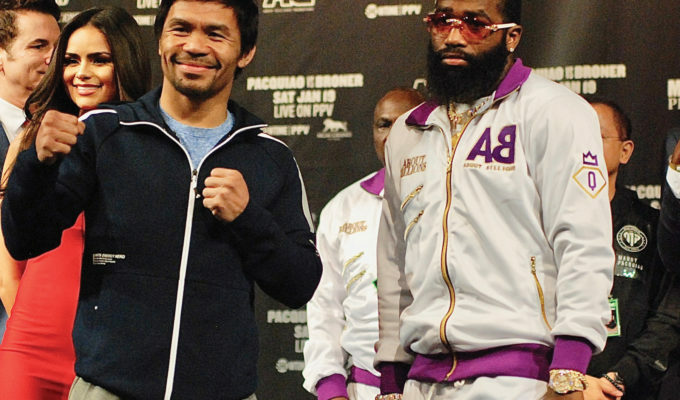 The Pacquiao-Broner fight will take place on Saturday, January 19 (Showtime PPV, 9 p.m. ET) at the MGM Grand Garden Arena in Las Vegas, Nevada.